A Buenos Aires-bound plane’s engine reportedly caught fire during takeoff at John F. Kennedy Airport in New York. The situation is now under control with no injuries reported, according to officials. The New York City Fire Department confirmed on Twitter that rescue teams were called to the airport following reports of the engine fire. It later tweeted that the situation was under control. 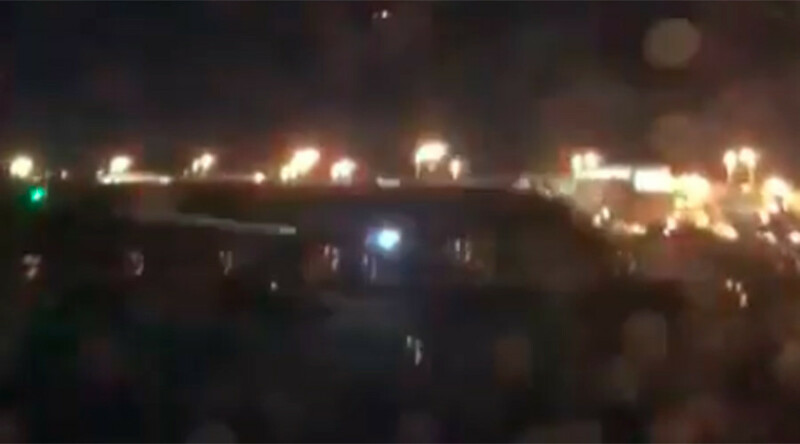 A passenger of a plane sitting on the runway nearby took a picture of the fire and posted it online with the comment “bad engine fire but cabin seemed safe,” Fox31 reports. Steve Coleman, the spokesman for the Port Authority of New York and New Jersey, has confirmed that a pilot of an Argentina Airlines flight reported the engine fire late Thursday night while the plane was preparing for takeoff, AP reports. According to Coleman, however, when rescue trucks arrived at the scene, they found no evidence of a fire. The plane then taxied back to the gate to be examined further. The plane was headed to Buenos Aires. No injuries have been reported.